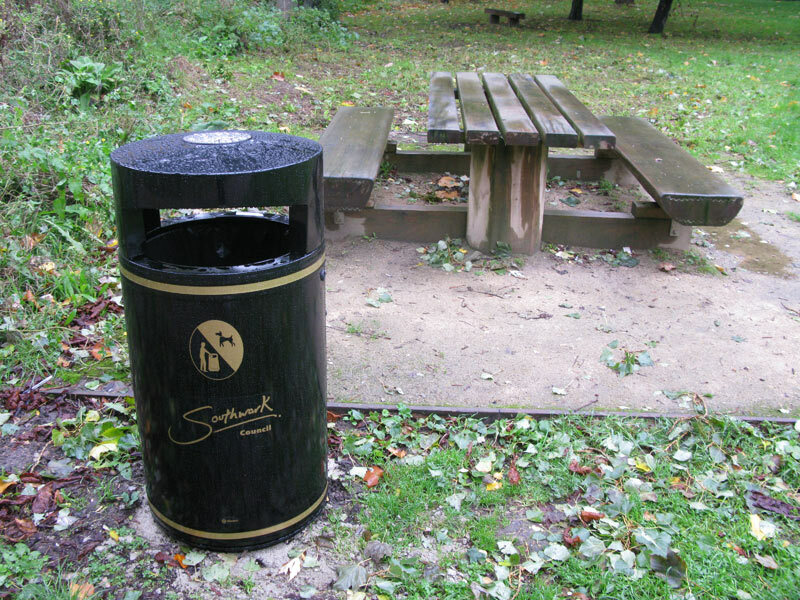 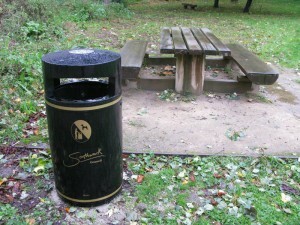 Today saw the first stage of the introduction of new bins to the park. The old ones are being removed and new dual purpose (rubbish and dog poo) ones are being put in. 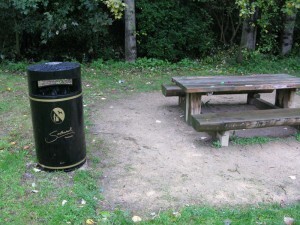 The new locations will hopefully make more sense too – next to the ramp to Sainsburys and next to the picnic benches. 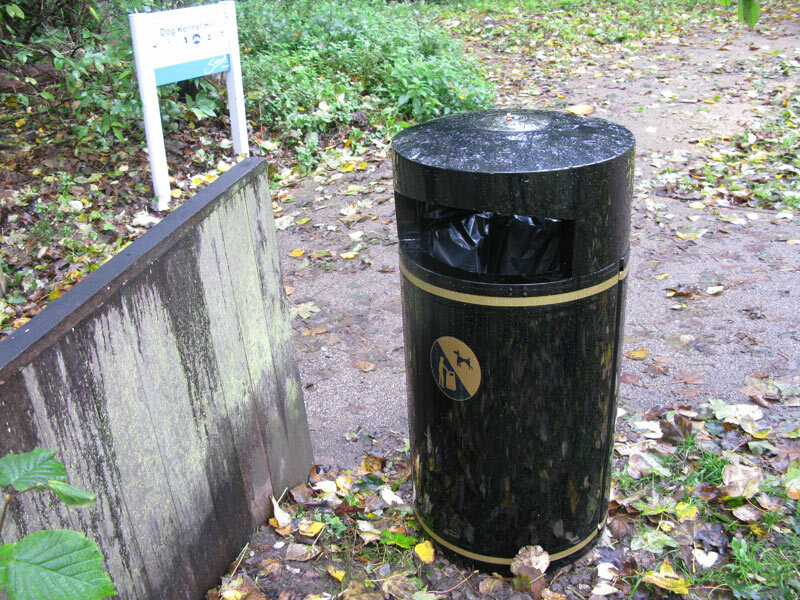 The bins have now been installed and very smart they are too.